Sometime in the 1930s, this train orders office was moved over to the east side of the mainline and had an addition made to its southern end. The train orders office was staffed until 1966 when it closed following the installation of CTC (Centralized Traffic Control) on this line. The structure stood until 1971 when it was demolished in a 38-car derailment of a Southern Pacific freight train. 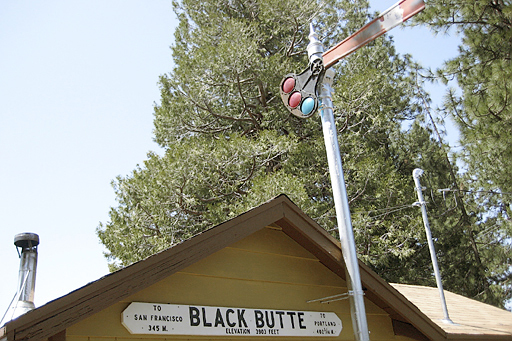 John Signor's book "SP's Shasta Route" has some great black and white and color photos of the train orders office and other structures that stood at Black Butte. 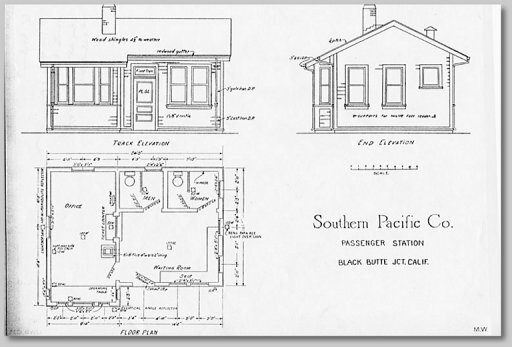 We are looking for additional historical photos and maps of the Black Butte junction area. Please let us know if you have anything we could use. In the summer of 2007 we began modifying the existing two room office building on our site to resemble the original 1926 trainorders office/depot. Our building is of a similar size but it is not an exact duplication as the roof lines and windows are quite different. 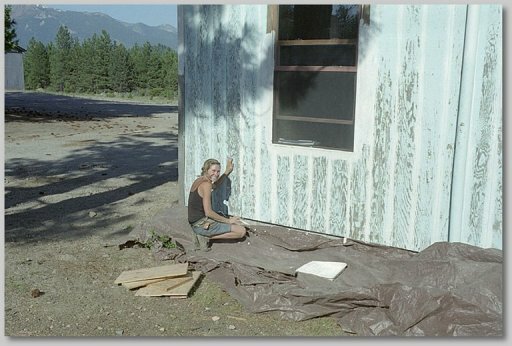 BBCRC volunteer Jacquelyn scraping paint off our yard shack in preparation for repainting it in historic SP depot colors. 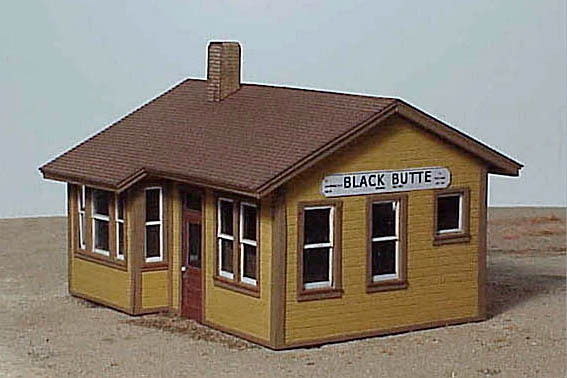 While researching the history of the Black Butte depot we were surprised to find an HO scale model of the 1926 structure for sale by Showcase Miniatures. 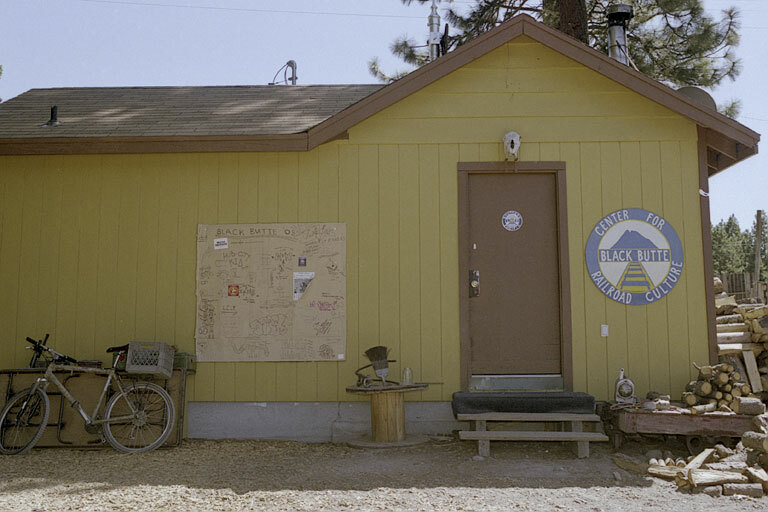 It turns out the owner lived in Weed a few years ago and used to visit Black Butte on a regular basis. Our rehabbed yard shack now functions as headquarters for the BBCRC. A volunteer, Derek from Oakland, who's reviving the almost lost art of handpainted signs, painted our sign. In June, 2007 Ms. Peggy Baltar of Weed, CA generously donated a complete semaphore signal set to us! Ms. Baltar's husband, Harold, had worked as a signal maintainer for Southern Pacific, and then Union Pacific, until his untimely death several years ago. 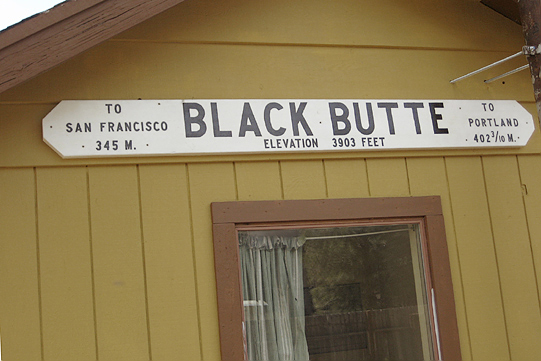 In fact, for many years, during the 1970s, the Baltar family lived in railroad housing right at Black Butte siding! These classic "style B" semaphores once were widespread along the SP in this region. 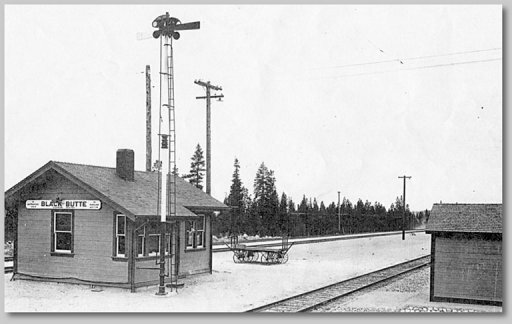 In fact, some of the last operating mainline semaphores were on the Central Oregon and Pacific, (the former SP "Siskiyou" line), and were just retired in early 2007. 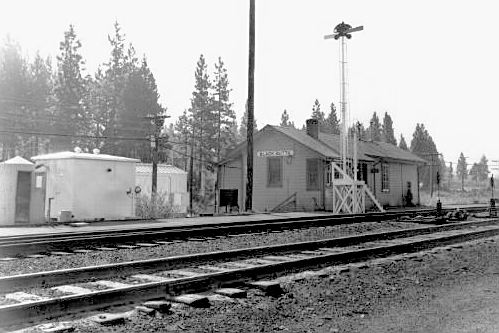 The semaphore donated to us was out of service for many years but may well have been located at or near Black Butte back when it was operational.